SAN DIEGO, CA – June 5, 2018: CureMatch, Inc. is now offering Personalized Combination Therapy® options to cancer care hospitals and oncologists in Mexico. By implementing collaborative, culturally sensitive initiatives, CureMatch will support long-term partnerships throughout Mexico to improve cancer treatment outcomes. CureMatch is a recognized U.S. knowledge leader invited to participate in “Consuls of Mexico & U.S. Leaders visit to Baja California – CLinBC 2018” and share biotech advancements in oncology with municipal, state and federal governments. In Mexico, as well as the United States, most cancer patients and their doctors continue to rely on traditional “one-size-fits-all” methods of care. Typical treatments and procedures address a particular type or origin of tumor rather than the unique nature of each individual patient’s cellular mutations. The solution lies in matching drug treatments to genomic sequencing data. Today, precision medicine is viewed by both developed and developing countries as the future of oncology. Through this emerging approach, CureMatch ranks the top mono-therapies, two-drug combinations, and three-drug combinations (sorting over 4.5M possibilities) to assist doctors’ prescriptions. Cancer is responsible for approximately 13% of the total deaths in Mexico annually. By 2020, over 216,000 new cases of cancer and 23,000 deaths are expected given current trends. These incidence estimates are associated with a total indirect cost of $1.01B (Salud Publica Mex). Current efforts to combat cancer have resulted in positive outcomes, yet despite the progress, Mexico still faces challenges in the areas of infrastructure, accessibility, and innovation. CureMatch has been working with government officials and hospitals in Mexico to create successful and sustainable precision oncology programs. Personalized Combination Therapy® based on next-generation genetic testing enables oncologists to make effective treatment decisions at a faster pace. Elevating the standard of cancer care to improve survival and clinical outcomes for many cancer patients seeking treatment in Mexico is the goal. 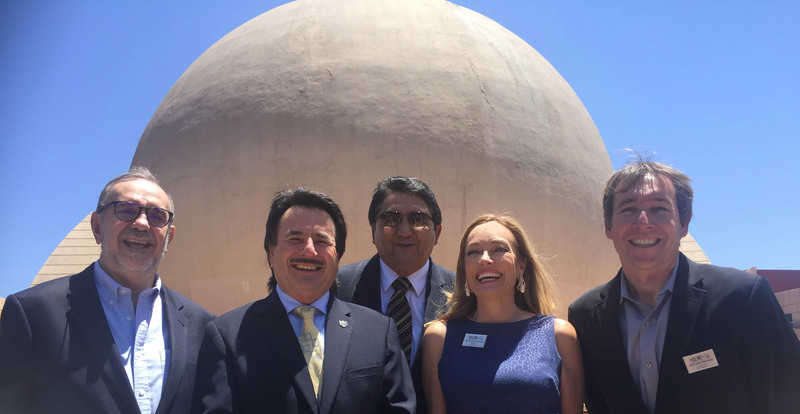 (l-r) Pictured: Ambassador Carlos M. Sada (Undersecretary for North America), Juan Manuel Gastélum, (Mayor of Tijuana), Eduardo Bernal (Consul of Mexico in Texas), Susan Leonard (CureMatch PR), Stephane Richard (CureMatch CEO). 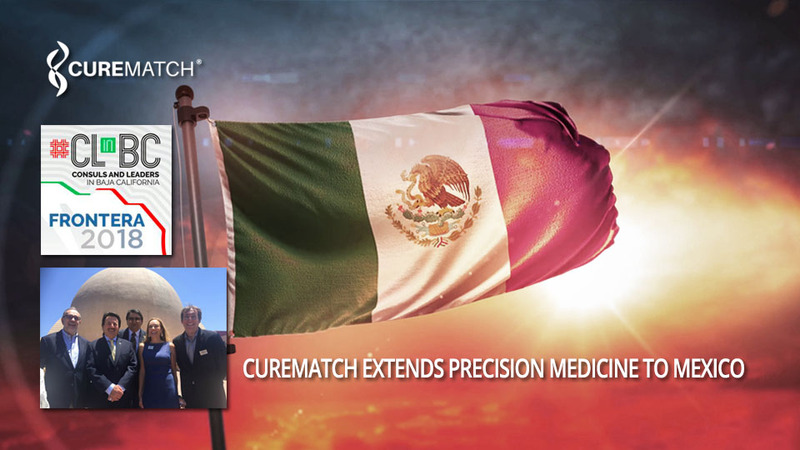 “CureMatch is in an advantageous position, both geographically and technologically, to create a paradigm shift for cancer treatment on both sides of the U.S. – Mexico border,” stated Stephane Richard, Ph.D, President and Chief Executive Officer of CureMatch.